The existing theories on the evolution of senescence assume that senescence is inevitable in all organisms. However, recent studies have shown that this is not necessarily true. A better understanding of senescence and its underlying mechanisms could have far-reaching consequences for conservation and eco-evolutionary research. 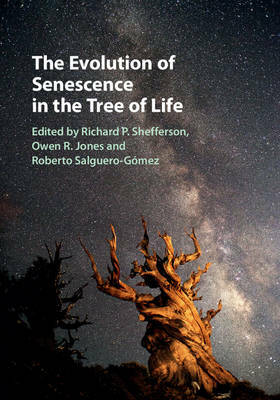 This book is the first to offer interdisciplinary perspectives on the evolution of senescence in many species, setting the stage for further developments. It brings together new insights from a wide range of scientific fields and cutting-edge research done on a multitude of different animals (including humans), plants and microbes, giving the reader a complete overview of recent developments and of the controversies currently surrounding the topic. Written by specialists from a variety of disciplines, this book is a valuable source of information for students and researchers interested in ageing and life history traits and populations.